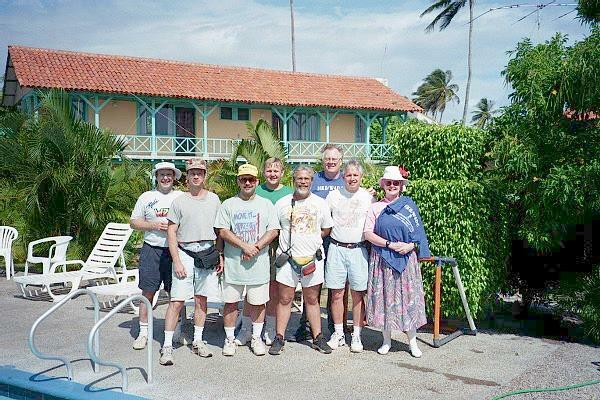 The Woodbridge Wireless from Woodbridge, Virginia is pleased to announce a successful DXpedition to San Andrés Island for the 1999 ARRL DX Phone Contest. 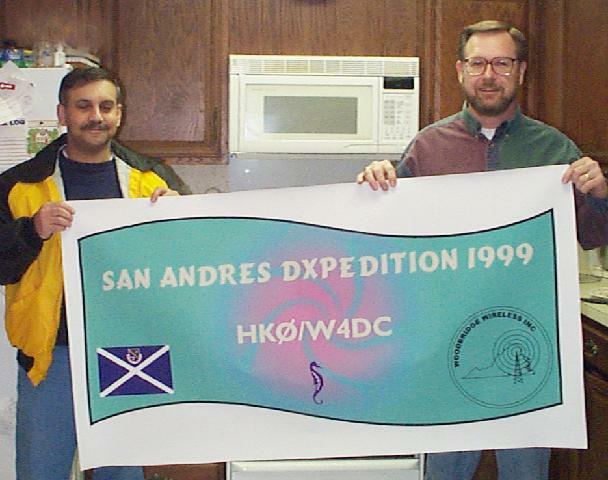 This was our 4th DXpedition, which took place between March 2 and March 11, 1999. We signed HKØF in the contest and HKØ/home callsigns before and afterwards. QSL Routes: See the QSL Info page for details. All HK0F contest QSOs were confirmed via the ARRL or RAC bureau. Make sure you have envelopes on file! There is no need to send us a reply card. We hope you were able to work us for contest multipliers, new DXCC entities, bands, modes, or whatever you needed. Thanks to all those who worked us during the contest. Special thanks goes to the 82 stations who made a “clean sweep” by working us on all 6 bands: 160, 80, 40, 20, 15, and 10 Meters! 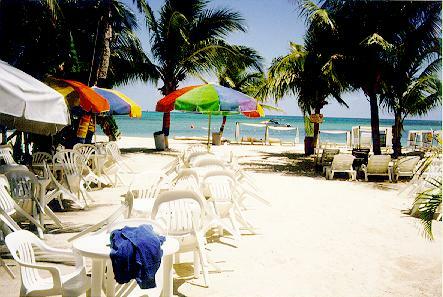 Located at 12°34′, -81°42′, San Andrés (sahn ahnDRACE) is a Caribbean island about 450 miles northwest of Colombia and 118 miles east of Nicaragua. 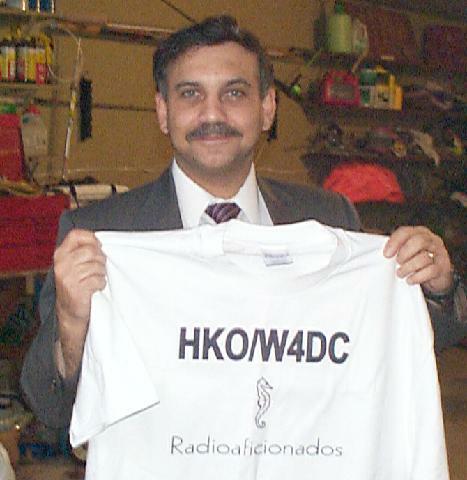 Although San Andrés and nearby Providencia belong to Colombia, together they constitute a separate DXCC entity with the prefix “HKØ”. 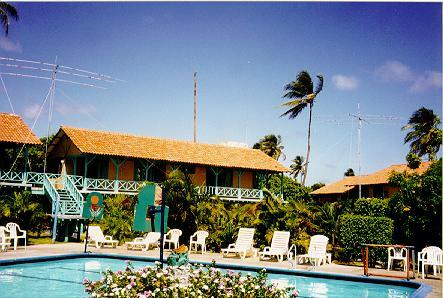 A very small place, San Andrés is only 1 ½ to 2 miles wide and 12 miles long. It’s shaped sort of like a sea horse with its tail pointing south. 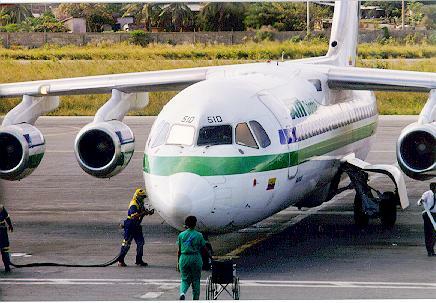 Most flights to San Andrés originate from the Colombian mainland. However, some of us traveled via San José, Costa Rica, using the Colombian flag carrier Sociedad Aeronautica de Medallín. San Andrés is noted for its natural beauty – beaches, clear waters, coral reefs, marine life, and pleasant 80° air and water temperatures. However, there are still some challenges for travelers, like occasional blackouts (five during the contest) and some problems with the water. Sometimes fresh water is scarce, tap water is undrinkable, and we learned to take cold showers. 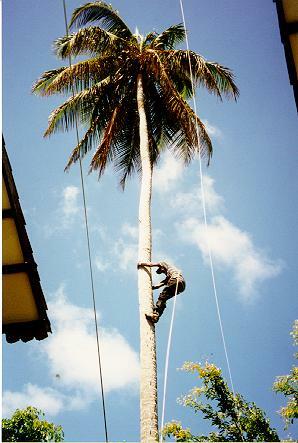 But hey, what would a DXpedition be without a few challenges? The most popular months for a visit are January through April, and July through September, when it is relatively dry. Spring and fall tend to be rainy. The island is on U.S. Eastern Standard Time, and the official currency is the Colombian Peso. 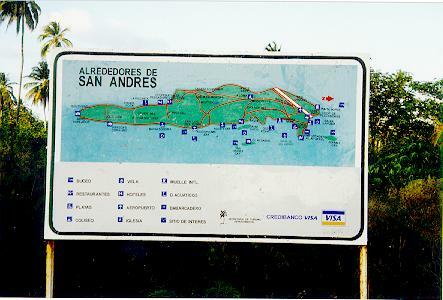 There are two towns on the island: San Andrés and San Luís (a small fishing village). Downtown San Andrés is locally know as the North End where businesses, government offices, and the main beach are located. 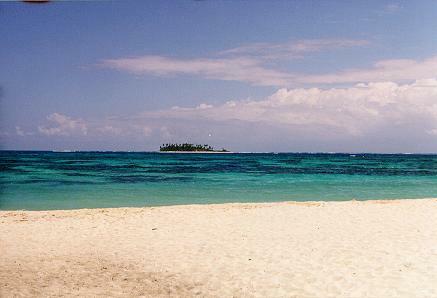 The main beach is also know as Sprat Bight; it has 450 meters of white coral sand and crystal clear water. The airport is a short taxi ride or 10 minute walk from San Andrés, the site of about 600 duty-free shops (clustered around Avenue La Playa) and most of the island’s hotels. 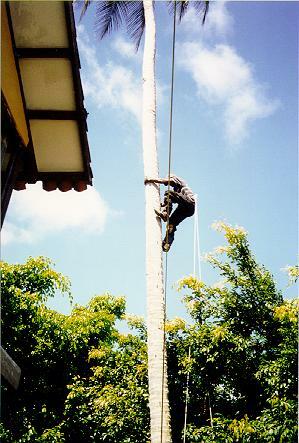 Although the official language is Spanish, many San Andréans speak “Caribbean English”. The population is made up of many different races, cultures, and religions (Catholic, Baptist, and Adventist being the most prominent). 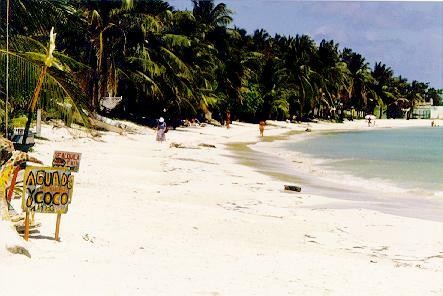 San Andrés has one of the highest literacy rates in Colombia. Operate radios, of course! Besides hamming, the other activities include duty free shopping, sightseeing, and of course, sunbathing. 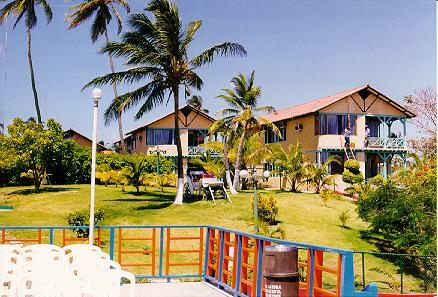 There are also two casinos in the town of San Andrés. South of the resort and shopping area of San Andrés is the older section of town, La Loma, whose heart is the Bautista (Baptist) Church. Built in 1847 on La Loma (The Hill), the Baptist Church was the first church on the island and serves as a guide to approaching vessels. Besides the church, the main tourist attraction there is La Laguna (The Big Pond), where small alligators, boas, crabs, and many varieties of birds can be seen. San Andrés has good paved roads, and a scenic route around the island. San Luís, on the east side and in the central part of the island, is another native district with wooden houses and Caribbean architecture. There are also good beaches, some hotels, and restaurants located there. 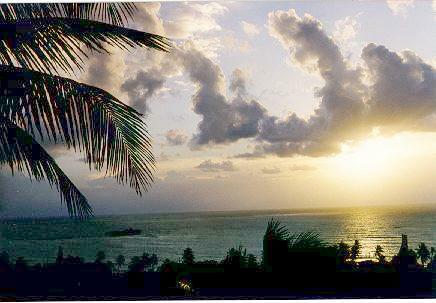 Sound Bay is the longest beach. 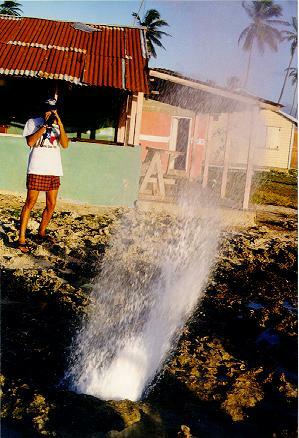 At the Southern tip of the island is the Hoyo Soplador (Blow Hole)–it spouts water 30 ft into the air. Two offshore keys, Johnney Key and Haines Key are surrounded by beautiful, clear waters, and can reached by boat from San Andrés. The visibility underwater around San Andrés ranges from 24 to 30 meters, which provides for a beautiful view of tropical underwater fauna, flora, and marine life. 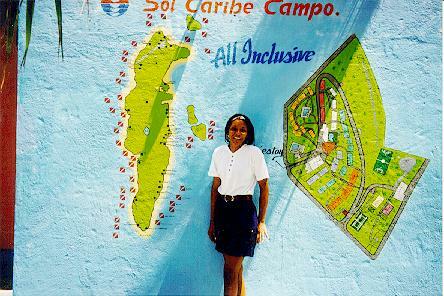 You can find out more about San Andrés by visiting www.san-andres.com and www.sanandres.org. Denis was first licensed in 1973. A DXer since 1979, he now holds 5BDXCC and is on the DXCC Honor Roll. Prior DXpeditions include ZF2HI, a world multi-single win in the 1986 ARRL DX phone contest; WD4KXB/VE2 from Zone 2; and VP2MFM, a world multi-two win in the 1995 ARRL DX phone contest. He has been a member of the Woodbridge Wireless since 1981. Ed got his first ticket in 1986 and has always enjoyed DXing and contesting. He is very close to DXCC Honor Roll with well over 300 DXCC entities confirmed. 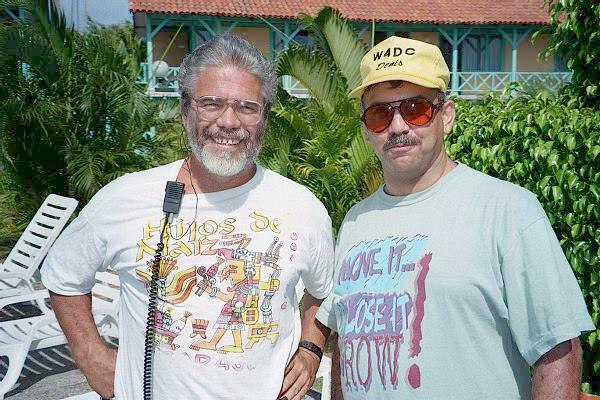 Ed was a member of the WD4KXB/VE2 team (Zone 2) as well as the VP2MFM DXpedition, which took the world multi-two win in the 1995 ARRL DX phone contest. He has been a member of the Woodbridge Wireless since 1986. Jack’s first callsign was WN3BEX in 1963. A member of PVRC and NCDXA, he enjoys contesting and DXing. Since relicensing in 1995, Jack has over 200 countries confirmed using a stealth dipole from his Columbia, MD townhouse. This is Jack’s first DXpedition. He has been a member of the Woodbridge Wireless since 1996. Martha was first licensed in 1973. 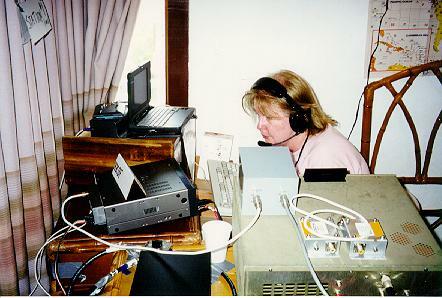 She has been traveling on DXpeditions with her OM, Carl WB4ZNH ever since. Martha took advantage of an opportunity to get her old novice call back. She’s no novice though; she and Carl are listed in the CQ Magazine DX Hall of Fame. Martha has been a member of the Woodbridge Wireless since 1997. Carl was first licensed in 1972. Always an avid DXer, he’s only four away from Top of the Honor Roll. 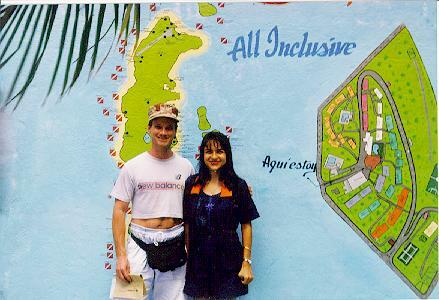 Carl and his XYL, Martha WN4FVU have operated from over 20 DXCC entities. They were the first to operate from Eritrea in 30 years; Carl’s petition got it back on the active DXCC list. They’re listed in the CQ Magazine DX Hall of Fame. Carl has been a member of the Woodbridge Wireless since 1997. Vic was first licensed at age 12 in 1962 as WN4JQZ. Later he upgraded to extra class and signed WA4TLB. An avid contester, Vic operated ZD8AA in the 1975 CQ WW Contest and went back the next year for a second-place world multi-single finish as ZD8W. He also participated in the ZF2GW multi-single expedition in the 1986 ARRL DX Phone Contest. Vic hails from near Syracuse, NY. Originally licensed WA8CZS in 1962, Everett holds 5BWAS, 5BDXCC, DXCC Honor Roll, and WAZ. DXpeditions include being a member of the 1982 VP2E ARRL First Place World Multi-Single SSB and CW effort. He was also a member of 1986 ZF2HI ARRL First Place World Multi-Single SSB team. He is an ARRL Life Member, and a commercial printer and photographer.